We’re just around the corner from the Destiny 2: Forsaken launch and already players are asking about what the next year looks like. When Forsaken was initially announced, Bungie also revealed their Annual Pass, a new way of doing post-release content to keep all players on the same page. Until now, very little has been known about what will come with the three major content drops following Forsaken. To keep players excited for the coming year, Bungie outlined a roadmap going through summer 2019, including both content that is free for everyone and additional details on the Destiny 2 Annual Pass. Beginning with Forsaken, Destiny 2’s seasons will have names. 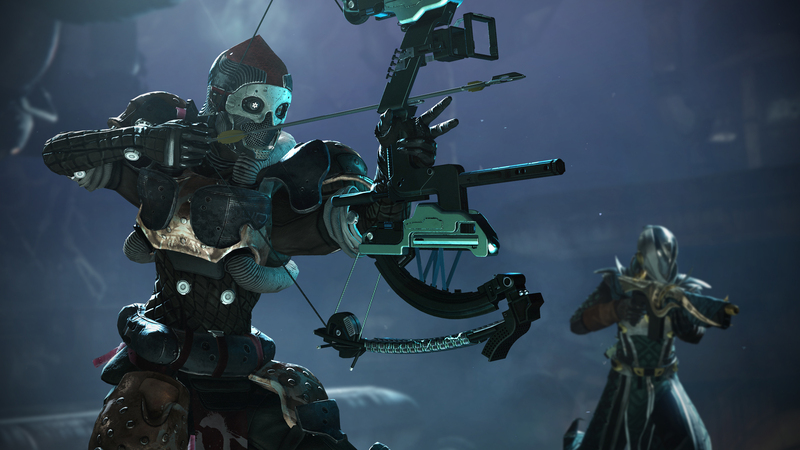 Season four will be the Season of the Outlaw and starts on September 4, 2018 along with Forsaken’s launch. Bungie promises a variety of activities, surprises, and rewards, pointing to mysteries like the Whisper of the Worm quest and big events like Solstice of Heroes as examples for what we might see. The subsequent content releases will mark new seasons, coming with both free content for all players and endgame activities for those that purchase the Annual Pass. A new ViDoc (above) shows off some of what we can expect to see over the next year. Black Armory will focus on a secret weapon vault full of “the greatest weapons that were ever created during the Golden Age.” Joker’s Wild will expand on the story of The Drifter, Gambit’s proprietor. The PvE/PvP hybrid mode will be evolving at that time, though additional details weren’t provided on how. You can get a look at the roadmap for the next year of Destiny 2 content below, including both paid and unpaid offerings. Well before we even get to the Destiny 2 Annual Pass content, there are a lot of events and secrets to discover within Forsaken. September 14th is the opening of The Last Wish Raid, 18th brings Iron Banner back for the first time in Season 4, and September 25th will have new Crucible maps. October will see the return of the Festival of the Lost seasonal event, with a new twist, and Bungie teases additional surprises and secrets over the next few months. It’s exciting to see Bungie so invested in the long term life and evolution of their game, enough to give us a full year’s window into what’s coming next. Destiny 2: Forsaken launches on September 4, 2018. The base Destiny 2 game was added as a free title for PlayStation Plus subscribers, available now through the entire month of September.